Platelet-rich plasma (PRP) and regenerative medicine are both powerful, all-natural ways to deal with pain and tissue damage. At Wellness 1st Integrative Medical Center in Gilbert, Arizona, your experienced holistic health physicians can help with knee pain, peripheral neuropathy, shoulder pain, wrist pain, low back pain, and other types of joint pain using your own blood plasma or stem cells. Book your appointment through the online tool or by phone now. PRP involves using your body’s natural healing platelets. Although you have these platelets in your blood, they’re just one component of the blood and they’re distributed throughout your body. PRP therapy allows you to get the powerful healing abilities of the platelets in the specific area where you need it. During PRP therapy, your Wellness 1st doctor does a quick blood draw from your arm, similar to other blood draws that are for testing. Your doctor then places the blood sample in a centrifuge, a high-tech machine that spins the blood at very high speeds to separate and concentrate the healing platelets. Your doctor injects the healing platelets into the area where you’re having problems so the regeneration can begin. PRP therapy can help you repair damaged ligaments, nerves, and other tissues in your body. This type of therapy offers great pain relief without surgery for many patients today. Stem cells are the base form of your body’s cells. Stem cells can adapt to any area where they’re placed. In regenerative medicine, your Wellness 1st Integrative Medical Center physician harvests stem cells from your hip bone during a bone marrow aspiration. Next, your doctor places the bone marrow in a centrifuge, a machine that isolates and concentrates the stem cells. Your doctor later injects the stem cells, often using guided imaging like ultrasound, to ensure that the cells move into the place where you need them. Once in place, your stem cells can morph into whatever kind of cells you need for tissue regeneration. Regenerative medicine can help you heal after injury or after wear-and-tear tissue damage. It can also reduce your pain significantly because it’s healing the pain problem at the source. What is PRP and regenerative medicine recovery like? One of the main advantages of PRP and regenerative medicine is the minimal downtime. Most patients have the procedure and then resume their regular routine that same day or the next morning. You’ll notice a gradual improvement in pain relief and other symptoms as you heal. 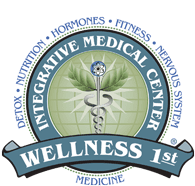 Use online booking or call to schedule a visit to Wellness 1st Integrative Medical Center today.